The nice folks at Wraps recently sent us some if their funky headphones to check out. The range starts out around the £15 mark for the bright and colourful entry level models, right up to the model I’ve been playing with, the £50 “Core” version. This differs from its cheaper stablemates due to its braided faux leather cable and improved speakers which are made from titanium no less. Right out of the box, they are a good-looking set of headphones. I’m not a fan of bling, so the nicely subdued colour scheme of “space grey” buds on black faux leather was right up my street. The unique selling point (gimmick) of the wraps headphones is that they are designed in such a way that they can be worn around the wrist when you aren’t using them. This is a bit fiddly at first, but after a few goes, you get the hang of it. 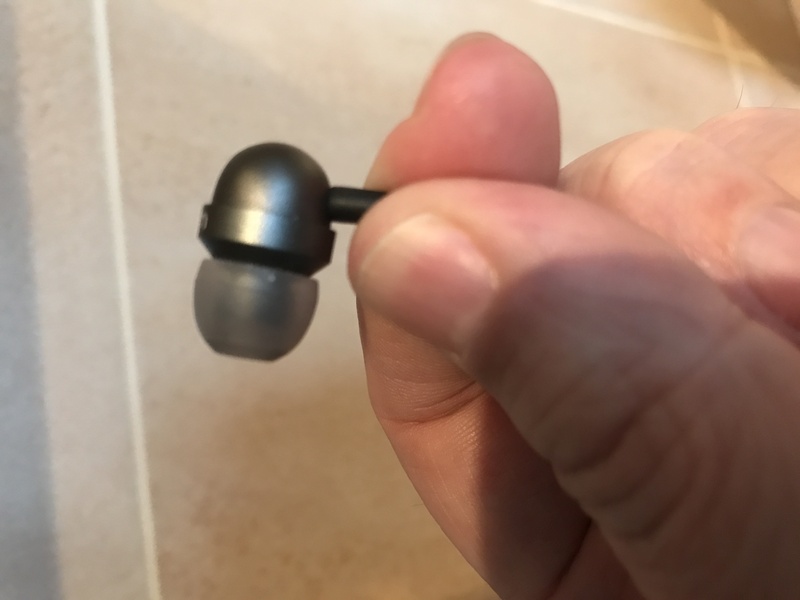 The mechanism for securing the headphones is simple but effective, the 3.5mm jack is the peg and there is a hole for it either in the ear bud separator or in a small piece that slides freely along the length of the cable, so you can achieve a good fit. This works really well and I can definitely see people using it as an alternative to having the big over ear headphones hanging around your neck all day. As for sound quality, I was initially somewhat disappointed. Gimmicks aside, for £50, I expect a set of headphones to sound good. The Cores sounded a bit subdued, almost to the point of sounding muffled. I tried the various sizes of silicone buds provided in the package, but even with a good fit, the sound wasn’t great. Now, I know that the sound can change once headphones “burn in”, but I have never experienced such a noticeable difference in any other set. After a few days, the sound transformed. The fuzzy, dampened sound cleared up and the details started to come through. Maybe it is because of the use of titanium speakers, but an extended burn-in time certainly made a massive difference. The overall sound is not what I would call outstanding, at this price point there are competitors that will give a much richer sound quality, but I would say that it is still very good and more than up to the task. You get a nice amount of detail and it has a bass that is nicely rounded but can deliver a bit of a thump when asked. Sometimes with braided cables, you get a lot of noise coming through when they rub against clothing etc, thankfully I didn’t find this was the case with the wraps. If I was to level a criticism against the headphones, one tiny niggle is the size of the ear buds themselves. They are rather small. This is a good thing when they are stored on your wrist, but I found that when I was wearing them whilst out for a walk, I kept having to push them into my ear regularly. I have pretty small ears, so if you have Dumbo lugs, this might be an issue for you. Overall I really like these headphones. The styling is really nice and the sound quality is totally decent. Yeah, they are maybe a bit pricey compared to others on the market, but the addition of the wearable feature is pretty handy and does set it apart. There is obviously an element of personal taste with non-conventional designs, but if these appeal to you, I don’t think you’ll be disappointed.